Wooden Silver Leafing service is executed by our highly accomplished team of professionals by using finest quality tools and latest technology in compliance with the market standards. These services are provided in several specifications & customizations options on customer’s demand. Reckoned as a reckoned business organization, we are readily immersed in offering Silver Leafing on Frames Services.. A team of deft personnel works in close harmonization with our clients to provide these services as per their desires and demands. These services are hugely cherished and praised amid our patrons due to their merits such as cost effectiveness, reliability and prompt execution. Akbar Khan Gouri & Co.
- Available in 0.2 Micron, 0.4 Micron. We are leading services provider of a comprehensive assortment of Silver Leafing On Frames, which are designed with creativity and intricacy. These Frames are widely appropriated for their elegant designs, color fastness and eye catching collection. The products are used for execution of these service are of premium quality. 1. 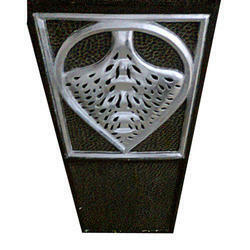 Silver Leafing Carved Side Table is made up of good quality teak wood or sag wood and is covered with Silver Sheet. 2. 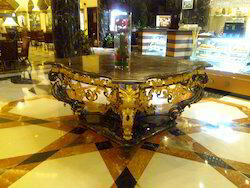 Silver Leafing Carved Side Table is polished and has been coated with lacquer to preserve its shine. With sincerity and hard work of our professionals, we have carved a niche for ourselves in this domain by offering Silver Leafing Service. With thorough expertise and understanding of this industry, we are enormously involved in offering Silver Leafing Services. Backed by our skilled professionals, we are involved in providing Silver Antique Leafing Service.